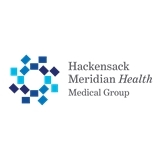 HMH Medical Group OB/GYN, Oakhurst-Rte 35 (Oakhurst) - Book Appointment Online! I love Dr. Sedutto! After some unsavory experiences with different ob/gyns in the past, Dr. Sedutto was a breath of fresh air. She was very efficient, knowledgable, reassuring, willing to answer questions, and above all, kind. I'd recommend her to anyone! Great staff and Dr. Schultz was pleasant and efficient.